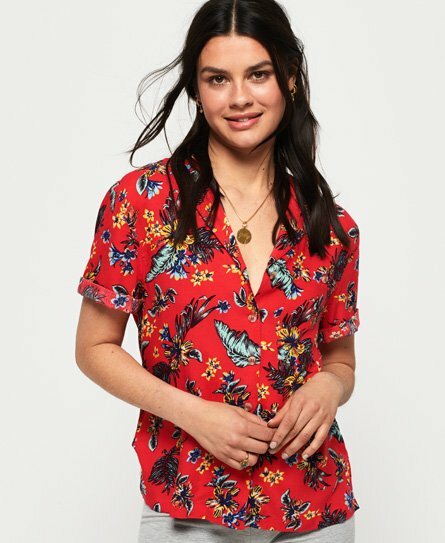 Superdry women's Riva shirt. This lightweight shirt is a summer essential, crafted from a soft, light fabric to keep you looking and feeling cool. The Riva shirt features a button down design, short rolled sleeves and a chest pocket with button fastening. Completed with a logo badge on the pocket, try knotting the Riva shirt and pairing with cut off denim shorts.